Sit here if you want to win. Sit down here if you want to win. People will pay top-dollar to sit there while others will do everything they can to actually avoid sitting there. When people “get-to” pay to sit there, there are often few seats available. However, when one doesn’t “have to” pay, there is always plenty of room. MC’s at workshops or presentations will even announce “there’s plenty of room in these seats”…I know many collegiate coaches who also ensure that their athletes always sit in these seats in class. Sitting here requires Mental Toughness. Mental Toughness often means doing the things that we don’t want to do. HOF baseball coach Tommy Pharr and Collegiate World Series coach Tim Corbin both sit in the front row. I see it at every conference. They even compete to see who can sit there FIRST. That’s the only evidence I needed to sit here as well. Looking further into the front row culture. It’s a lifestyle. Some view sitting in the front row as a risk. They see it as stressful because something bad could happen. The presentation may not be very good and what if they have to leave? Can they check their phone up front? They also see a threat because they’ll have to be more engaged, they may get called upon, others could be looking at them, and it may not be considered cool. Sitting up front does involve a risk, but it also offers a reward. Those that DO sit in front row however, see it as a possibility. They look at it as something good can happen. It allows them to be more engaged, which means they will retain more information. They want to get called upon and even be a part of the show or presentation, and they think it’s the coolest place to sit. Research revealed that students sitting in the front, middle, and back rows of class scored 80%, 71.6%, and 68.1% respectively on course exams. I don’t see that as coincidence. Sitting further back in the audience is safe, but offers little incentive. There is a game that I play with many of my audiences, where I hold up a $20 bill, sometimes a $100 bill. (I can’t divulge the game) but those in the front row usually win it. No one can make you sit in the front, just like no-one can pick up the seat and move it to the back. 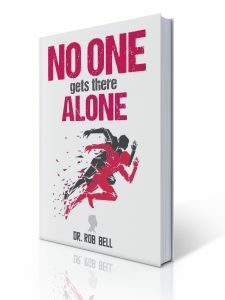 https://drrobbell.com/wp-content/uploads/2016/03/front-row.jpeg 184 274 drbell https://drbell.mystagingwebsite.com/wp-content/uploads/2018/05/logo-2018.png drbell2016-03-11 05:02:482018-08-23 16:32:28Sit down here if you want to win.